Mr. Colin Gregory Palmer Grey is a time management consultant working out of London, England. As well as his day job, he also produces on occasion short videos about different subjects. Today, I ran across his latest cinematic opus called "Coffee: The Greatest Addiction Ever". How could I resist? Ah, coffee, my favourite drink. And it would seem just about the favourite drink of a zillion other people as well. Who hasn't regretted not buying shares in Starbucks or Tim Horton's? * brewed: 1 cup (7 oz, 207 ml) = 80–135 mg.
* drip: 1 cup (7 oz, 207 ml) = 115–175 mg.
Red Bull has sometimes stirred up a bit of a controversy about its caffeine content; however it contains no more caffeine than coffee. A single can, the normal size, contains 80mg of caffeine (Wikipedia). I add here about the pros and cons of this drink. Scientific studies have examined the relationship between coffee consumption and an array of medical conditions. Findings have been contradictory as to whether coffee has any specific health benefits, and results are similarly conflicting regarding the potentially harmful effects of coffee consumption. Coffee consumption has been shown to have minimal or no impact, positive or negative, on cancer development; however, researchers involved in an ongoing 22-year study by the Harvard School of Public Health state that "the overall balance of risks and benefits [of coffee consumption] are on the side of benefits." For example, men who drank six or more cups of coffee per day were found to have a 20% reduction in developing prostate cancer. Other studies suggest coffee consumption reduces the risk of being affected by Alzheimer's disease, Parkinson's disease, heart disease, diabetes mellitus type 2, cirrhosis of the liver, and gout. A longitudinal study in 2009 showed that those who consumed a moderate amount of coffee or tea (3–5 cups per day) at midlife were less likely to develop dementia and Alzheimer's disease in late-life compared with those who drank little coffee or avoided it altogether. * The second most widely used product in the world after oil. * It was worth 6 million tonnes per year in the mid 90's. * It is worth €30 billion per year to the producing countries. * It is a living to more than 100 million people. * It is consumed at the rate of 1400 million cups per day. * The world's second most popular drink after water. Regarded as the largest retail coffee chain, with over 15,000 stores world wide, Starbucks actually sells more milk by volume than coffee. Starbucks has established a brand based on strong, bold dark-roasted coffees. Some even consider the roasting style over-done, pushing the respectable and popular dark-roast preference too far into the burnt category. While the milk products comprise the significant component in the Starbucks coffee drinks (lattes, cappuccinos, etc. ), perhaps another driver behind the volume of milk sold is a customer preference to tame or tone down the Starbucks over-roasted, strong and bold coffee profile. Coffee is an important commodity and a popular beverage. Over 2.25 billion cups of coffee are consumed in the world every day.] Over 90% of coffee production takes place in developing countries, while consumption happens mainly in the industrialized economies. Caffeine is a bitter, white crystalline xanthine alkaloid and psychoactive stimulant. Caffeine was first isolated from coffee in 1820 by the German chemist Friedlieb Ferdinand Runge and again in 1821 by French chemists Robiquet, Pelletier, and Caventou. Pelletier first coined the word "cafeine", which became the English word "caffeine". The health effects of caffeine have been extensively studied. 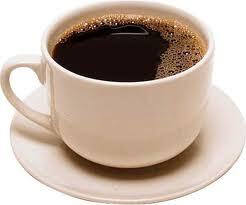 Short term side effects such as headache, nausea, and anxiety have been shown as symptoms of mild caffeine consumption. The long term consequences of moderate caffeine consumption can be reduced risk of developing Parkinson's disease, type 2 diabetes, hepatic diseases, and cardiovascular disease.